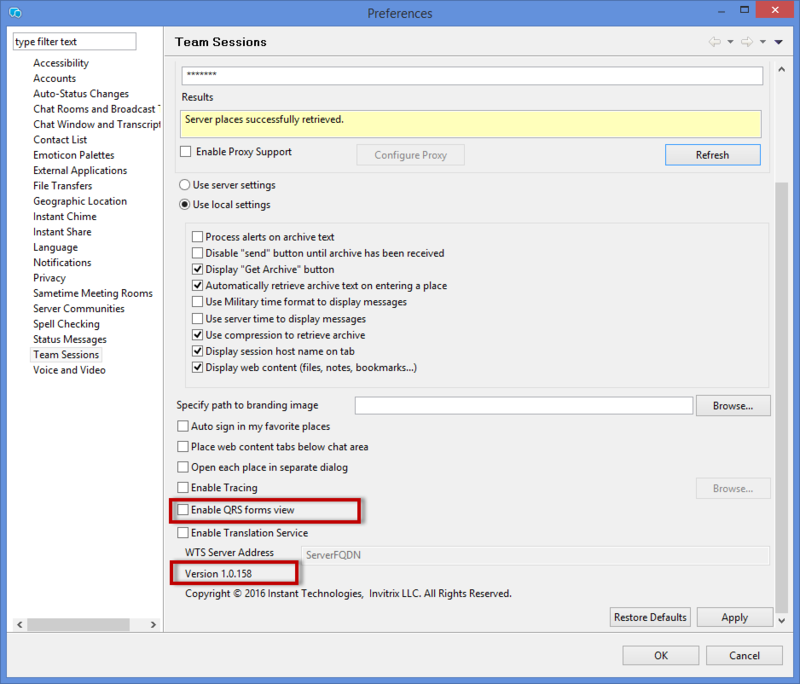 Updating the value of default URL in TeamSessions plug-in preferences for deployment. Steps to deploy the updated Instant Team Sessions Applet (Web Client)? 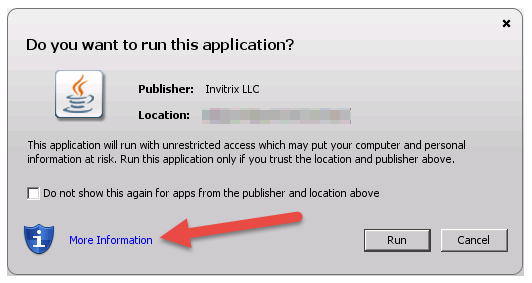 Note: Neither the Instant Team Sessions Service nor the Domino Server needs to be restarted to complete this update. 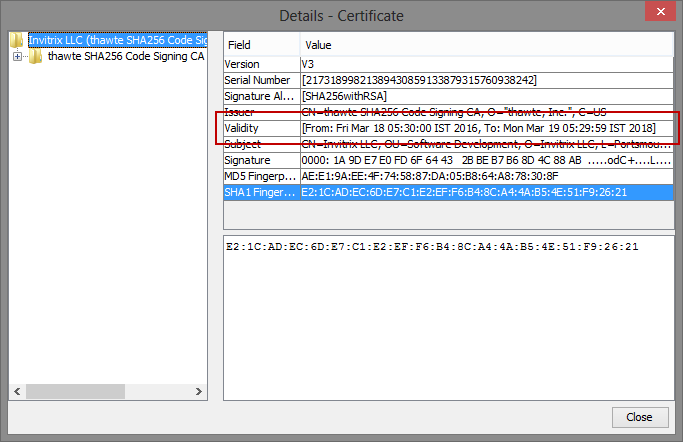 B) Verify the updated certificate details is shown when accessing the applet (web client). 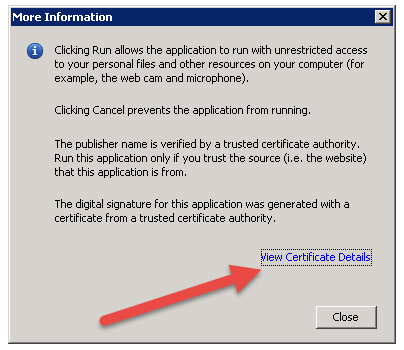 When prompted "Do you want to run this application", select "More Information"
On the "More Information" screen, select "View Certificate Details"
In the Details, the Validity should now show the new date. 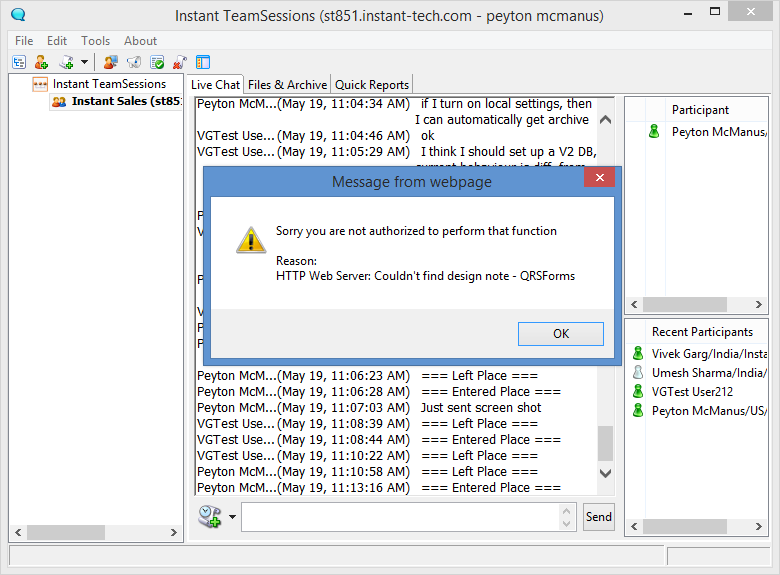 When connecting to an older version of the database, the Team Session plugin would throw an error stating: "Sorry you are not authorized to preform that function". In August, 2012, there was a new release of the Team Sessions database (V3B39). This release included some additional functionality was provided as part of the database and the plugin. When a client, with Team Sessions plugin 1.0.157 installed, is 'pointed' at an earlier version of the database, then the user may receive an error when they enter a chat room. Please upgrade the Team Sessions plugin to version 1.0.158 or newer. Starting in Team Sessions plugin 1.0.158, there is a new option to optionally show the QRS Forms located in the preferences section of the plugin. By default, the 'enable QRS forms view' will be 'off' and the QRS forms area will not be shown. 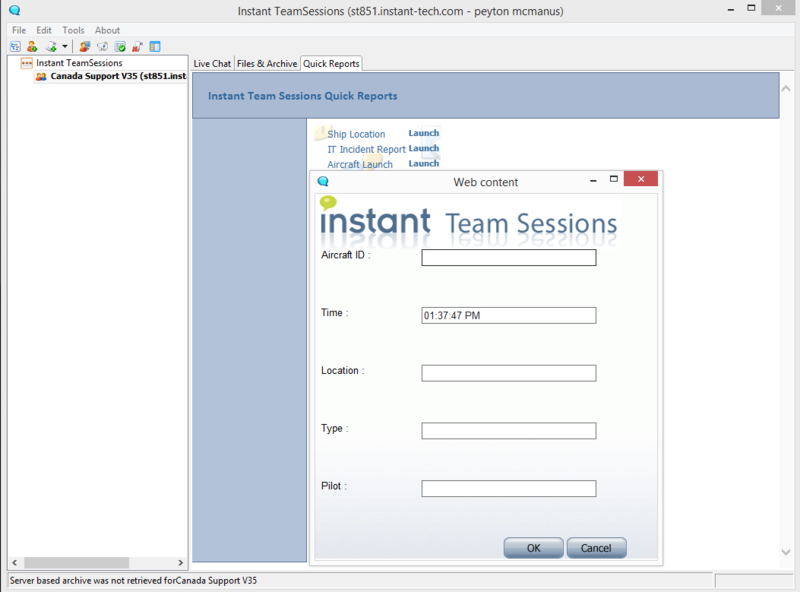 The Team Sessions plugin provides the ability for the customer to enter a Team Sessions chat room (place) using an IBM Sametime© client. The Team Sessions plugin also integrates with a Team Sessions database in order to retrieve a list of chat rooms, update and insert chat room content, and other information. With the release of the Team Sessions database V3B39 in August, 2012 some additional functionality was provided as part of the database and the plugin. This functionality provides a mechanism to create 'quick response forms' and attach these forms to the Team Sessions deployment. These forms may be rendered as part of a chat room and provides a form based approach to entering certain types of content into a room. Essentially, it is a system that provides data entry forms to be easily accessed at part of each chat room and the data is then rendered into the room. However, if an updated Team Sessions plugin, with this functionality is 'pointed' at an earlier version of the database, then the user may receive an error when they enter a chat room.